African youth present a paradox: on the one hand the mobile revolution has created massive potential to inform and educate youth; but these 400 million jobless youths are considered a threat to the stability of countries and a burden to states. Two of their main challenges are limited jobs – on average 72% of youth in African countries are unemployed – and lack of access to education, skills and information. 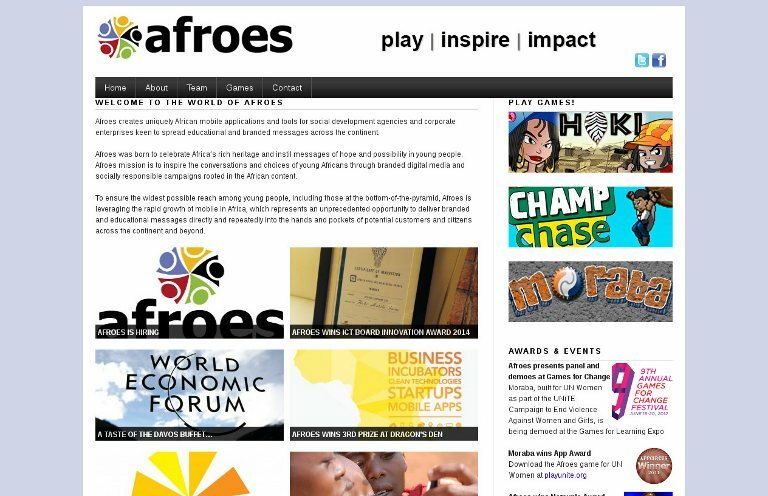 The Afroes project aims to change mindsets of young Africans by developing problem solving skills through digital games. It has designed several social change games including: MORABA, an award winning mobile-game that addresses difficult questions on Gender-based Violence; ChampChase, which addresses issues of child abuse; and HAKI, a game series built for Kenya by Kenyans to address civil rights issues. The Afroes proposition is uniquely designed for the African mobile market not only to create interactive content but also to ensure deep reach into the hands and pockets of the target user. Afroes has begun the process of licensing its mobile content to Ministries of Education and NGOs in Africa and other regions of the world.